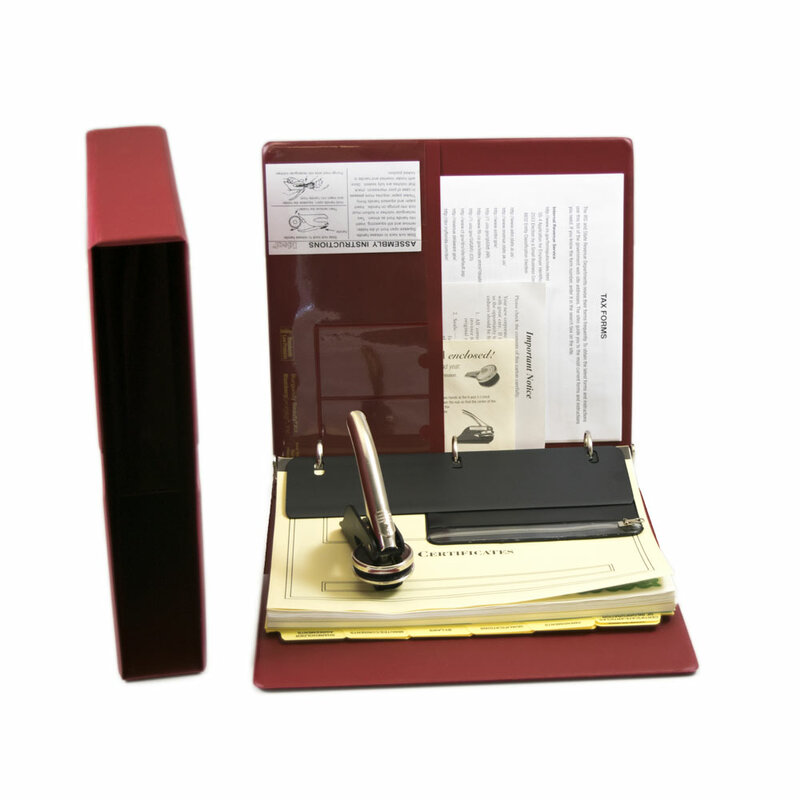 The Burgundy Beauty corporate kit is a classic at a low price. 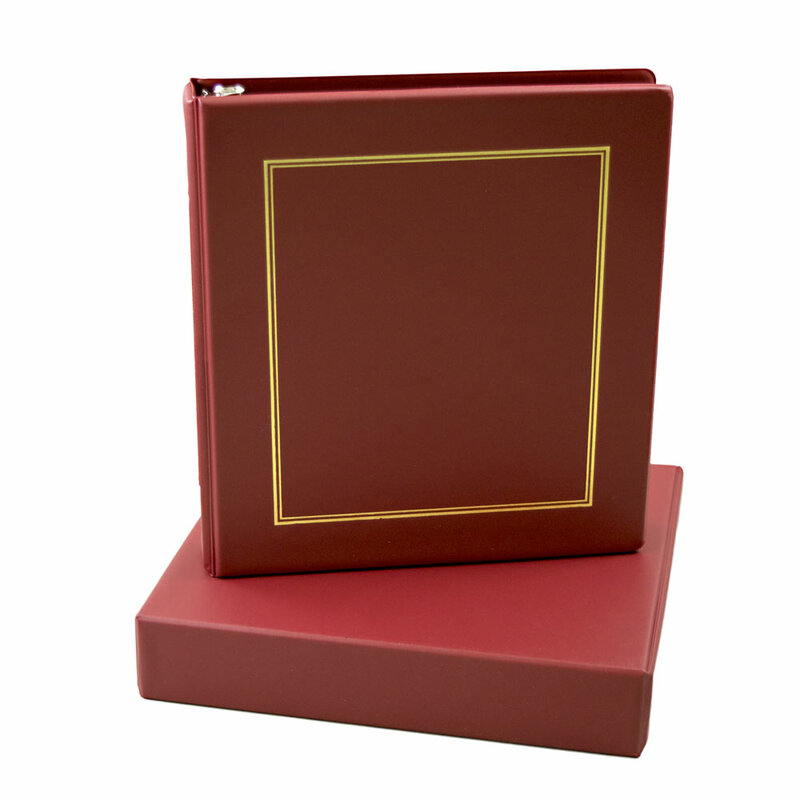 Handsomely finished in 24K-gold trim, the Burgundy vinyl binder and slipcase are constructed to last for years. 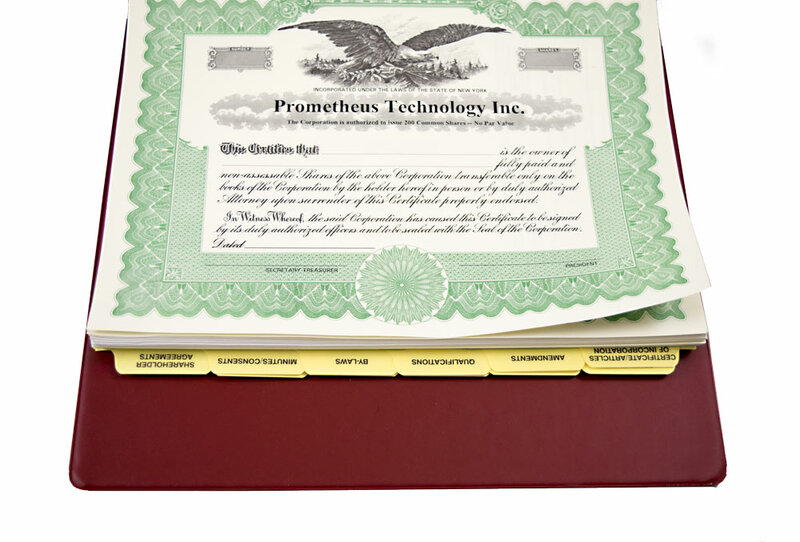 Quality, convenience and price. 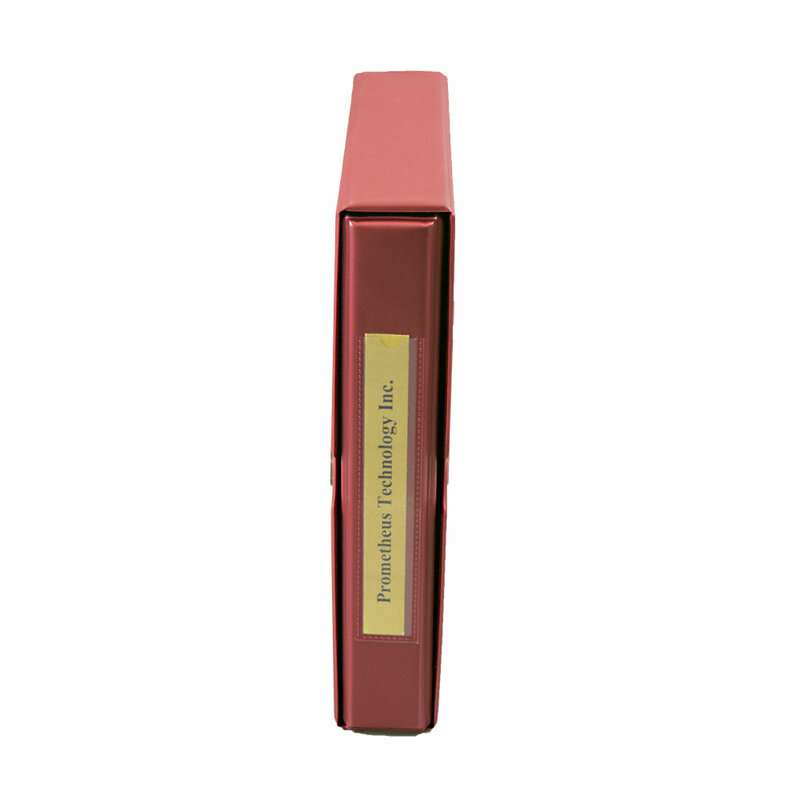 Durable matching burgundy vinyl dust-proof slipcase protects contents and reserves place on shelf when corporate record book is removed. 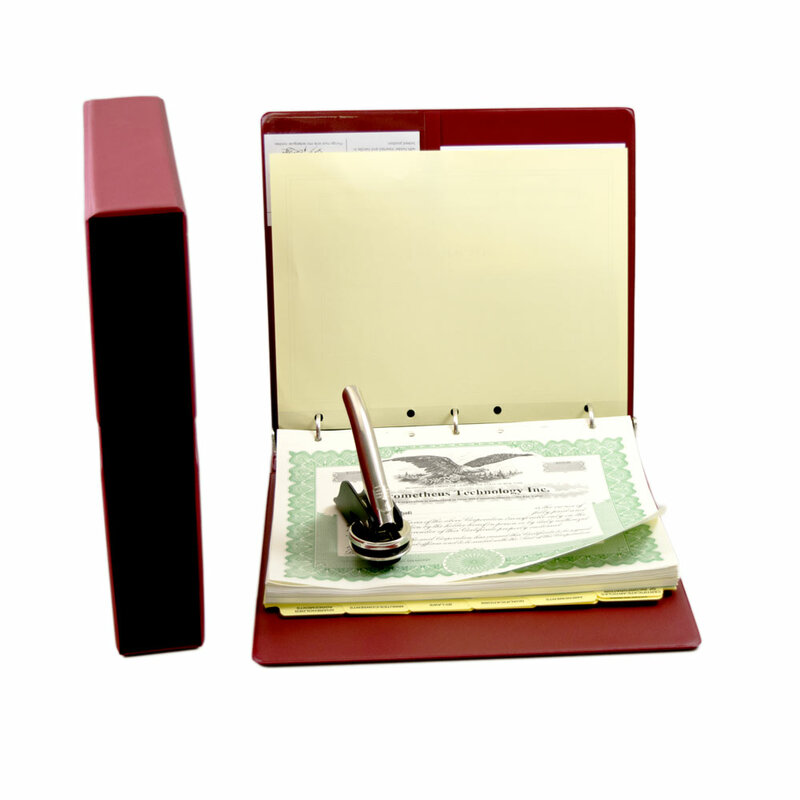 The Burgundy Beauty corporate kit includes the corporate seal, certificates, transfer ledger, gold label with company name, index tabs, corporate record tickler, minute paper and optional printed minutes and bylaws for corporations or operating agreements for LLC's, all neatly stored in a durable binder and protective slipcase. 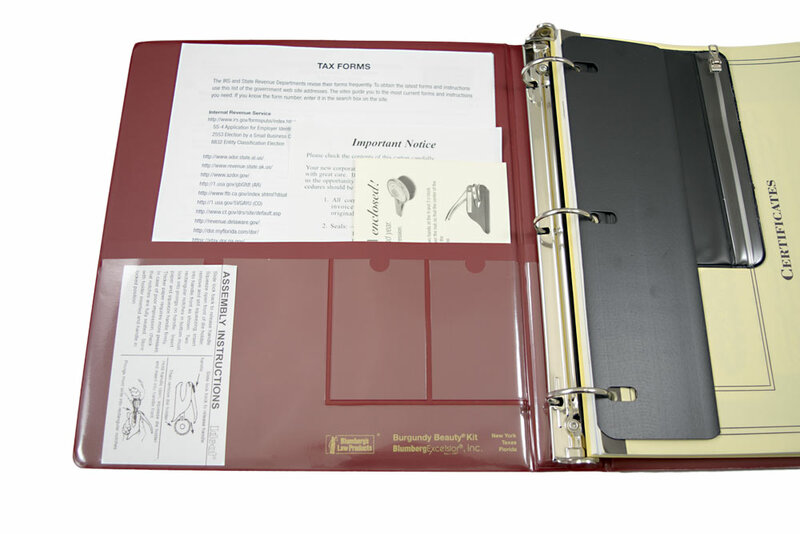 In addition to burgundy, this corporate kit is available in green, black and brown.